MI Account Unlock/Remover TPS Xiaomi Tool Latest Version Free Download. Xiaomi is a Beijing-based company that primarily manufactures smartphones. Xiaomi means "millet," which is a grain that is staple of diets in various parts of the world. TPS Xiaomi tool is a best application for Windows which allows Xiaomi mobile phone users to bypass MI account from xiaomi devices. There are two methods which can be used to bypass MI account. First one is 9008 com port method and the second one is fastboot method. 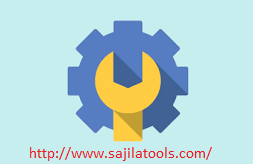 The one click unlock option or feature of this tool makes it more useful from other tools available in mobile market. By using the built-in-features of this unique tool, you can check your device information, remove the screen lock of your device and reboot or flash or restore your device in just one click. You can also get backup of your device using 9008 com port method. This application allows you to unlock the bootloader on several Xiaomi devices. Before starting the job, have a look on its great features. Some brilliant features of this well working tool. If you wish to get this application for your android device and if you want to update or flash or reboot your device with the latest and updated TPS Xiaomi Tool 2018 Unlock/Bypass tool, then just follow the official download link shared below, tap the link and get the setup. If the link shared below is not working or showing errors while downloading the application then contact with us via your comments in comment section. Your feedback would highly be appreciated and regarded and in response, out technical team will rectify the issue if any.